A smallholding can provide a taste of paradise for those working elsewhere. Laura Bowyer visits one such couple. Smallholdings can offer the best of both worlds for young people who are passionate about farming, but hindered by land prices. This is true of David Barrell, 32, who runs a flock of Badger Faced Welsh Mountain sheep while also working for the Welsh Ambulance Service, a job he clearly loves, despite yearning to farm for a living. 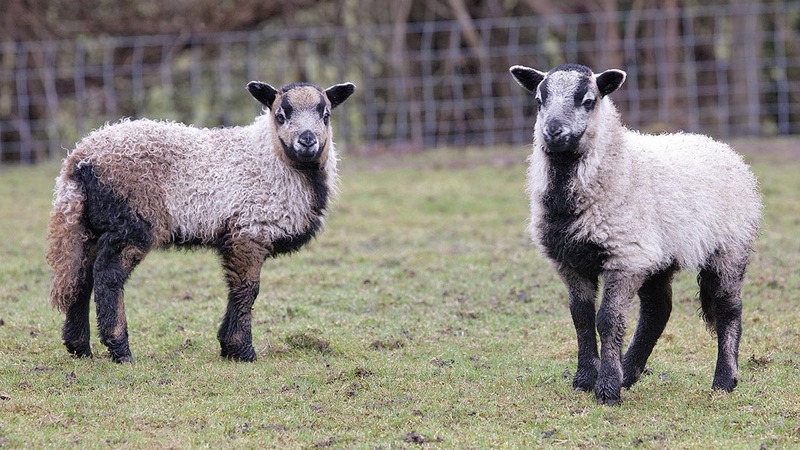 He and his partner Natalie Parsons recently bought The Firs, a four-hectare (10-acre) smallholding in Govilon, just west of Abergavenny, and David says he has finally got his small flock of Badger Faced Sheep on his own ground. Growing up on his parents’ smallholding, David was always interested in the countryside and farming and he previously worked with sheep on a number of farms. This is a similar case for Natalie, whose family farms on the other side of the valley to their new home. David’s interest in the breed started about a decade ago while helping a friend with his sheep and accompanying him to shows. From there, David decided he too wanted to get involved with the breed. Knowing David’s enthusiasm for the sheep, a former employer gave him a ram as a gift, leading to him buying two registered ewes and sparking the start of David’s now eight-year sheep-keeping career. 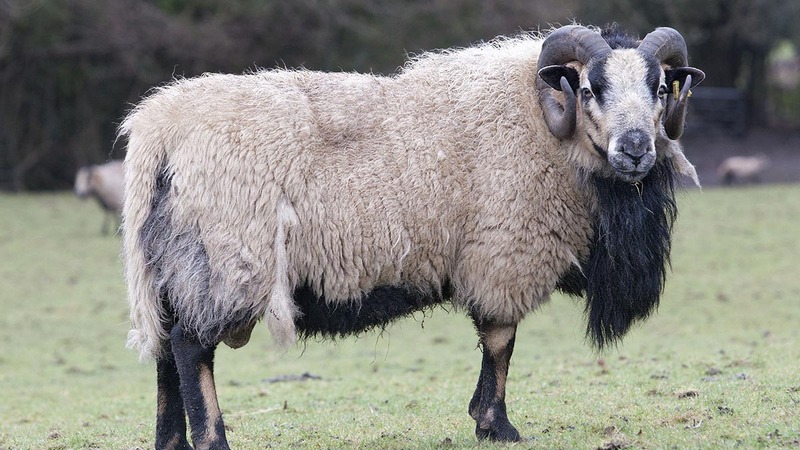 There are two different colourings of Badger Faced sheep – Torwen, meaning white belly, and the black-bellied Torddu. David had already begun working with the ambulance service when he bought his first sheep. Having started his career in ambulance control, taking 999 calls, he is now an emergency medical technician, which he says is one level down from a paramedic. Although you can clearly see David is passionate about his job, he says he would rather be a farmer. Working 12-hour shifts, David is not always on hand to deal with any of his own emergencies in the lambing shed. However, he has a camera looking over his flock so he can watch them on his phone and he knows he can call on either Natalie or a nearby friend if need be. This year he lambed 26 ewes served by a home-bred ram. They lamb outside but go inside at night and are bedded on bracken. With Monmouthshire market only a short drive from the holding, David says half of his lambs will be sold finished here. Sheep deemed to be of breeding quality are sold through society sales at Llandovery coloured breed sheep sale and the National Sheep Association ram sale at Builth, or via word of mouth. All are served naturally and this year they scanned at 150 per cent. Females will be sold as ewe lambs and David is hoping to tap into the breeding ram market. Currently all males are sold as finished lambs. Ewes which have done well at shows are kept for breeding. David and Natalie say one of the challenges they face is finding available grasskeep for ewes as these agreements often last for a long time between two parties. 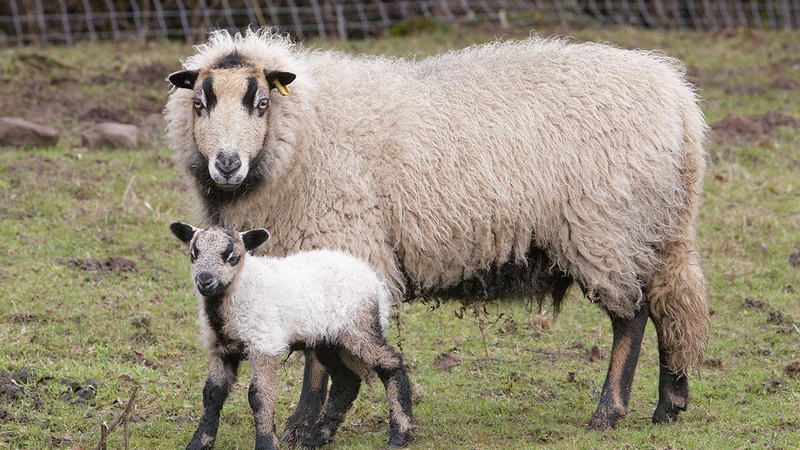 Currently, six hectares (15 acres) of grasskeep is rented at Llantillio Crossenny and last year the sheep were lambed on land owned by Natalie’s father as the couple were in the process of moving. Over time, David has rented small pockets of land around Abergavenny. Ewe rolls are fed pre-lambing and lambs are given ad-lib creep almost straight away and weaned in June. Fat lambs sales start at the end of July, when they weigh about 35-36kg. David was elected to the Badger Face Sheep Society judges list in 2015 and judged for the first time at Monmouth Show the same year. This August he will be calling the shots at Chertsey Show, a bit further afield in Surrey. Both David and Natalie say spending time outside, either with sheep or horses, allows them some light relief from the stresses of their day jobs. David also owns a Harris’ Hawk, the only breed of bird which works in a pack, and describes flying Inka as his ultimate way to relax. On the future for the couple’s new home, he says: “I want to improve the flock as I have a lot of older ewes. There is one in particular, one of the first I ever bought, which has not got a tooth in its head but always gives a good set of twins. I will go to Llandovery this year looking for new ewes and a ram to bring in some new blood. 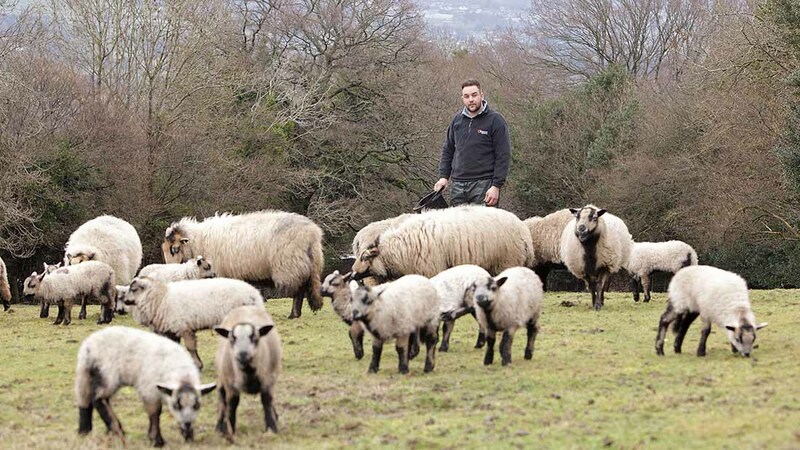 Often accompanied by Natalie, David takes sheep to the Royal Welsh Spring Festival and the Royal Welsh Show, as well as Monmouth, Bedwellty, Llangynidr and Usk shows. On choosing his show sheep, David says: “I like to show sheep which are true to type and a good size, although not necessarily big. I favour sheep with golden faces, small ears and a white, hemp coat, which is more the traditional type of Torddu. At the 2012 Royal Welsh Show, David took third place with a ewe lamb, in a breed class of 48. At the 2013 Royal Welsh Winter Fair he took second place in the breed with a pair of ewe lambs weighing 34kg each, describing this as his best achievement to date. David has been trimming sheep for three years, having taught himself after struggling to find someone to trim them one year. Kicking off the show season this year will be their visit to the Royal Welsh Spring Festival in May, and they will be taking two ewe lambs, an aged ewe and two ram lambs. Natalie has had success at Builth Wells too, winning the Welsh part-bred horse championship with brood mare Kerry Blue Flyer in 2011. Natalie will soon move her three horses to the holding, which conveniently has an arena and stables already in place. She is the practice manager at Farm First Vets, Penpergwm, and David says her knowledge is a great help to his sheep enterprise. David says he has seen the breed rise in popularity, with the classes at the Royal Welsh greatly increasing in size. He says many of the exhibitors are smallholders but there are also some larger scale farmers who run the breed. The Torddu now sees the second largest entry as a breed at the Royal Welsh Show.